- Usage: For making puris, chapatis, etc. Owing to our huge market knowledge, we have been able to serve our valued clients with a wide range of Kitchen wooden Roller. We are the leading manufacturer and supplier of best Wooden belan. A ‘Rolling pin’ for your kitchen. This cooking accessory is crafted out of single piece of leokart wood. A beautifully handcrafted rolling pin helps to make the perfect bread with an explicit finish. 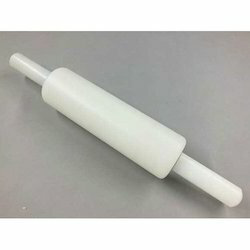 We are one of the best manufacturer of Wooden Rolling Pin. We have variety of wooden kitchen tools. Utensil set, Wooden Polpat (Chakla) & balen. We are wholesaler for wooden kithchen tools. We are the leading manufacturer of Wooden Chakla. These wooden chakla are made up of good quality raw material. These chaklas are very efficient & are available at affordable prices.